Following God’s will. Finding your purpose. Discovering your calling. Those were all the things I heard through the years that seemed to plague me more than inspire me. There have been so many sermons given and books written on this subject of vocation. My heart’s desire was to discover what God had for me. I wanted to live my life fully for Him. 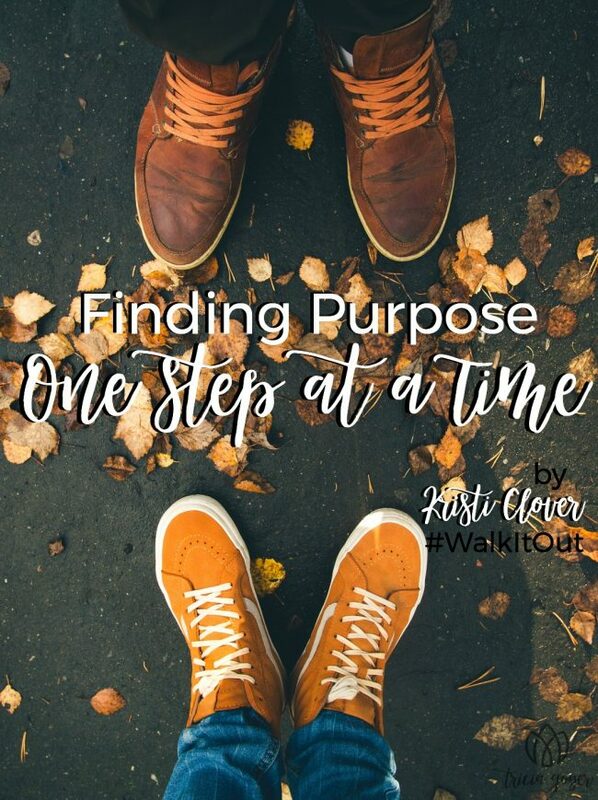 Yet, despite my efforts to find answers, I never really felt like I could figure out what God’s unique plan was for my life. In my early twenties, I was bothered by the fact that I hadn’t had some big revelation as to what I was supposed to be pursing. I’d get new books and pray for God to enlighten me. I searched His Word for some secret passage that would speak to my heart and say, “This, Kristi! This is what I created you to do!” I had no real “Aha!” moment. His answer came softly and gently. It came to me through the years in moments when I was doing more than just thinking about what I should be doing. I can’t even remember the exact moment when I felt like the light bulb finally went off in my head about the deeper meaning of this verse. I had studied the various spiritual gifts and taken several tests to figure out what my strengths were. However, it really was in the mundane moments of just living out my faith that I felt like God was sweetly whispering to my heart, “That’s it!” It was in showing kindness and patience as I waited in line with impatient people around me. It was taking the time to make eye contact, compliment others, and smile. Every so often strangers would tell me that they saw something in me that seemed different. They weren’t seeing me, they were seeing Jesus. It always threw me off, too. I was waiting for some big, flashy service opportunity to really feel like I was serving the Lord fully. Yet, God showed me that even in the little, behind-the-scenes moments that He was at work. I know I’m not alone in the over analysis of discovering my calling. I know God speaks to everyone differently. Some people really do have “Road to Damascus” moments like the apostle Paul did when God called him to the ministry and literally stopped him in his tracks. However, for the rest of us, it feels like there is so much pressure to pinpoint this one thing that God is pushing us toward. It’s taken me time to figure this out, but I’ve learned through the years that it’s the daily choices that really count. In Psalms 119:105 we read that God’s Word acts as a light to our path and a lamp to our feet. I often picture myself holding a lamp out in front of my feet in order to see the next step on a dark night. Lamps only give us enough light for the step that’s right in front of us. It’s natural to want to see the big picture, but sometimes we just have to trust God with the next step. Now that I’m in my forties I see this at work as I look back over my life. This little step of faith and that tiny skip to obey His Word through the years have all added up to a walk with the Lord through many seasons of ups and downs. Sometimes that next step feels insignificant and other times you know it’s going to be life changing. God uses His Word to prepare us for His Will. He gently nudges us as we read His Word to step out in various ways. He equips us with His strength as we move forward with Him. We just have to be brave and take that next step. Not surprisingly, you can usually find her at home trying to bring some order and fun into the mayhem of daily life. 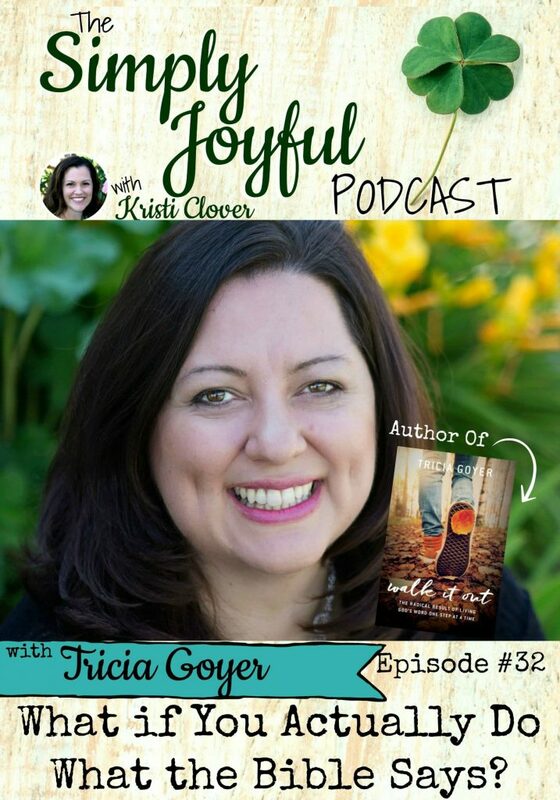 Kristi is a down-to-earth writer and an energetic speaker who loves to share about her adventures in marriage, motherhood, and homeschooling at KristiClover.com — and on her podcast, the Simply Joyful Podcast! Kristi is also the creator of the Ultimate Homeschool Organization Course and the co-author of Homeschool Basics: How to Get Started, Keep Motivated, and Bring Out the Best in Your Kids, co-authored with Tricia Goyer. 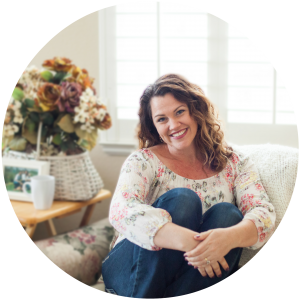 Be sure to connect with Kristi online for an extra dose of encouragement for your day —and get a free copy of her book, Sanity Savers for Moms, by clicking HERE. Bonus! I am on Kristi’s podcast today chatting about life, writing, and walking it out everyday! Click the image below to listen! 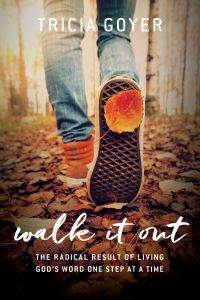 Click here order a copy of Walk it Out! Love this! Thank you for sharing ladies! Admire both of you.